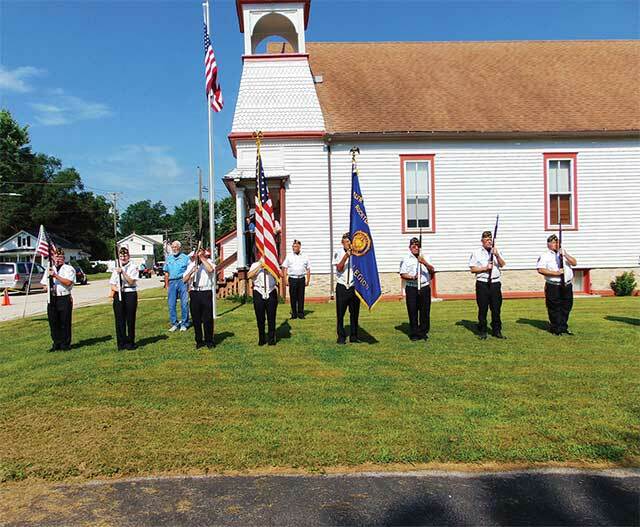 The Walter Graham American Legion Post 332 lined up to pay tribute to Charles “Ray” Preiss at the Shirland Town Hall on the Fourth of July. Before the Fourth of July parade in 2018 a special dedication remembered the many contributions of Charles “Ray” Preiss. The Walter Graham American Legion Post #332 Rifle Squad lined up to pay tribute by the Shirland Town Hall. Known as Ray to many in the Shirland community Mr. Preiss passed away on Jan. 26, 2016 at the age of 91. Rifle Squad Jr. Vice Commander, Kary Krebbs reflected on the impact that Preiss had on a community that he served in many capacities. “Today, we are proud and honored to dedicate this flagpole in memory of Charles “Ray” Preiss, said Krebbs. 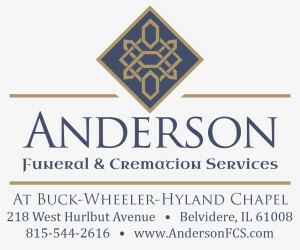 “He served on the school board, was committee member of Boy Scout Troop 653, and served on the Shirland Fire Department for 31 years and served as the Fire Chief. He was a baseball coach and always kept the Townhall grounds in tip top shape,” said Krebbs.